For anyone who has a keen interest in birds, in particular, the robin, then this Cloisonne Winter Robin ornament would be the perfect gift. The piece has been crafted to include the finer details. The much-loved bird is sat atop a snow-covered perch with berries scattered around it. 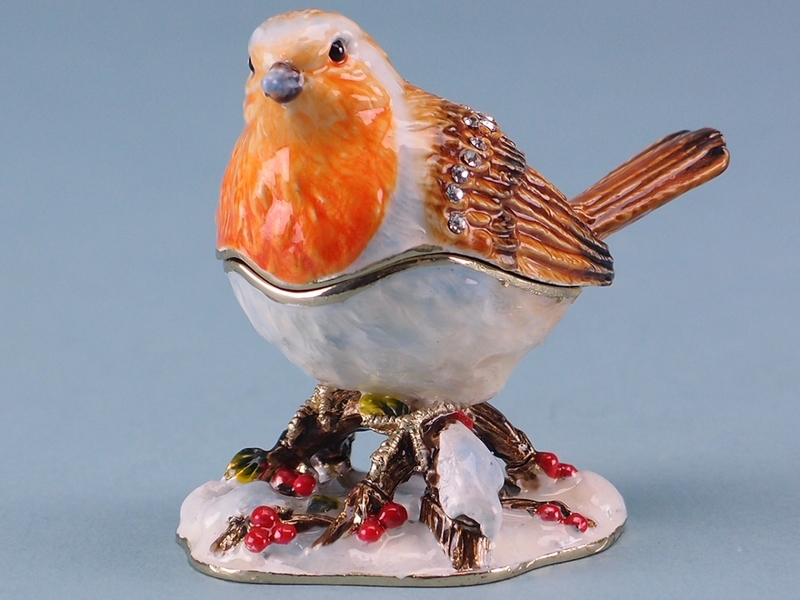 Most of the time, robins are associated with Christmas as the birds are generally only seen during December and January, but for those of you who adore them, then have them with you all year round with this delightful Cloisonne Winter Robin. 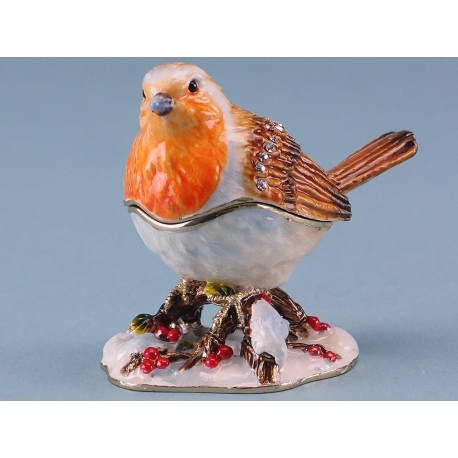 The ornament has been wonderfully crafted to depict the much-loved bird sat on a snow-covered perch with berries around the base. The details on the feathers are superb and there is a gleam on the ornament that adds to its quality. For anyone who collects bird ornaments, then this winter robin is an ideal addition.